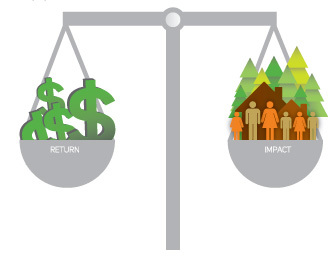 The Stanford Social Innovation Review just ran a very interesting six-part series of very succinct blogs by Matt Bannick and Paula Goldman on Impact Investing. The authors are from the Omidyar Network, one of the pioneers in social impact investing and their central concern is over “the gray space between grants and risk-adjusted return investment. They note that by insisting “on deals that … yield risk-adjusted commercial rates of return, [the sector] systematically under-invest[s] in creating the conditions under which innovations, and entire new sectors, could be sparked and scaled.” Furthermore they conclude that this insistence on risk-adjusted rates of return is driven by fears about distorting free-markets and the sector’s desire to be as rigorous as possible in the investment process. The series is fascinating and corroborates so much of what I have found personally over the past five months learning about impact investing. To prepare myself for the role of investment manager for the impact fund HRSV, I basically had to start from scratch, understanding the sector, understand what an impact investment is, or should be, and what I should be doing as the fund’s manager. I have spoken to dozens of people in the US, Europe and Africa since May, impact fund managers, CEOs and social entrepreneurs. I met more interesting and generous people than I could have hoped for in the process, this in itself has been a huge privilege. But what I also found was a sector that continues to evolve, which is no surprise, the term “impact investing” was coined only about five years ago. And while people were already pursuing impact investments before then, it was only labeled as such just then. Bannick and Goldman describe the objective for most impact investors “as finding and investing in enterprises that yield strong financial returns and social returns.” Others have started referring to this as blended value. By its very nature, the ambiguity of this aspiration causes tension. It turns out it is difficult to live up to. My sense is that the sector desperately wants to prove to be and be accepted as profit-driven and uncompromising when it comes to financial returns. Many of the people behind the creation of the sector and those piling into it now are themselves successful entrepreneurs and having been successful and made fortunes in the private sector, they are strong believers in its ability to spur innovation and create value, including value of the social and public good-kind. At the same time, there seems to be a sense that the sector has oversold its own promise of doing good by doing well. 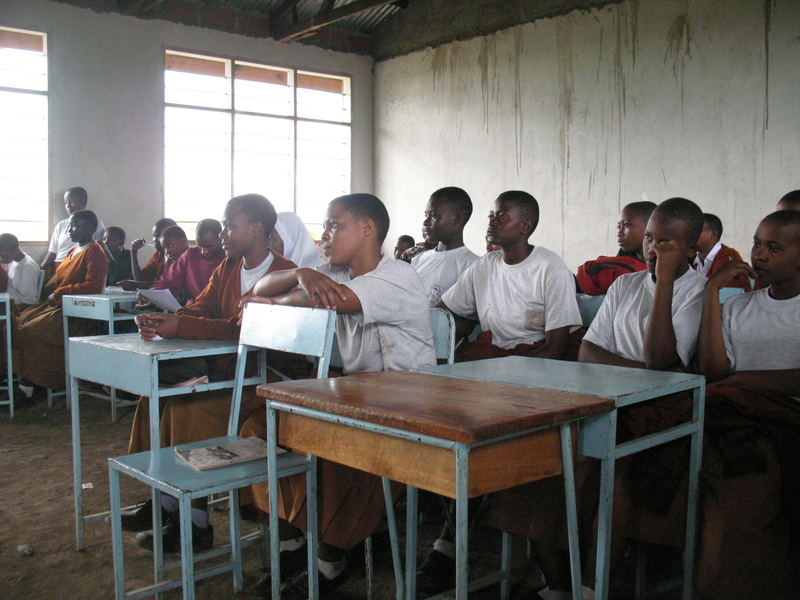 Successes of enterprises that do deliver a social good and make a handsome return have been touted and the financial success of for-profit lenders in the next-of-kin sector of microfinance may also have contributed to the perception that it is possible to make money while providing the poor a job, product or service. I don’t disagree that a return is often possible, good ones even, while having social impact too, but with the caveat that not all problems were created equally and that profit could be expressed along a continuum. From what I have seen and heard, many institutional impact investors are displaying risk-averse tendencies. I presume in many cases these are increasingly risk-averse tendencies, assuming that many started out as true trailblazers and risk takers. Now many are seeking a financial return they can justify to their investors, while covering their overhead and negating such issues like exchange-rate risk which are typically exacerbated in developing country investment settings. In practice this means higher IRR demands and larger average investments. The flipside of that equation is that smaller start-ups and early stage enterprises continue to struggle to find the necessary concessionary funding. Or as Bannick and Goldman put it, the companies in the gray space. This is a fascinating statement; it reveals an underlying fear about possibly being wrong about the sector’s premise. I have often felt that the philanthropy sector ends up selling its programs on the bases of arguments that are meant to please the donor, rather than making the genuine argument for the program on its merits as they see them. The last thing the impact investment sector wants, is to be considered part of philanthropy and its ways (at least not traditional philanthropy, well-intentioned but misguided do-gooders), which may be driving the sector to overemphasize its potential for financial returns and economic viability of its investments, purposely nurturing the image of a sector driven by hard-nosed business mindedness. So maybe it is about returns. And in particular about readjusting expectations for financial returns when it comes to specific investments, in specific sectors, at specific stages of an enterprise’s development. If it contributes to solving a social problem at the bottom of the pyramid, maybe getting back 80% of an initial investment is good enough if it secures the long-term success of the next best social thing? Now where does this leave me, am I writing my boss and ask for permission to accept an investment with a projected -20% IRR? Maybe not yet, let me make a few more traditional impact investments first, and then we’ll talk. 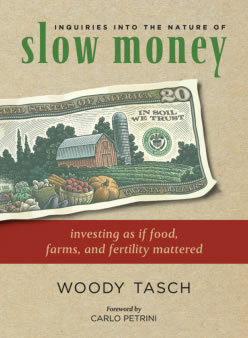 Book Review in 200 words or less: Inquiries into the nature of SLOW MONEY, by Woody Tasch. Slow money seeks to be a complement to the slow food movement, leveraging investments with longer horizons, greater localization and true pursuit of other than financial performance. Ultimately, I understand, it is about the fertility of the topsoil, and hence “we must be pro-earthworm,” writes Tasch. I am not arguing with that. Is charity a dirty word? I was at the 10 year jubilee of an inspiring organization yesterday. They do wonderful work with mentally disabled children and their families. 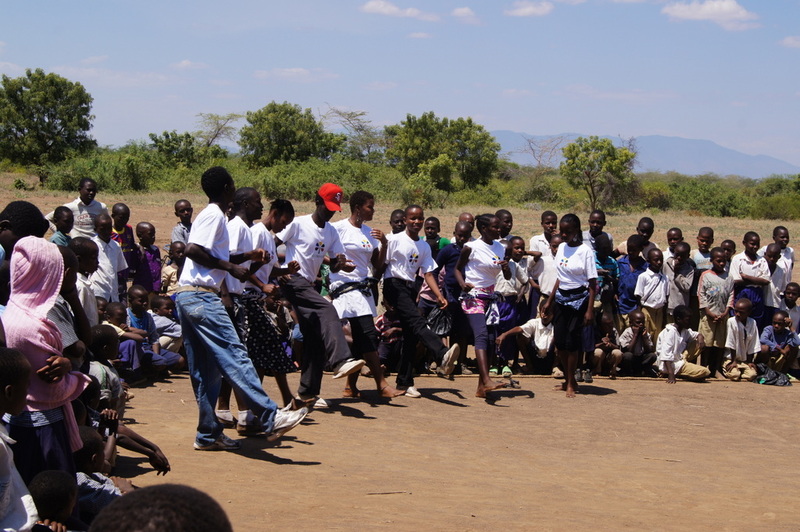 Providing services and hope to young people who undoubtedly benefit greatly from the organization’s help and dedication. During her short address, the founder said something I feel like I hear more and more, it went something like, and I paraphrase: “…this is not charity. Charity is about someone who has something to give, giving it to someone who needs something, it is an unequal relationship, and demeaning to the person receiving charity.” That is jarring to me. By all means no need to tout your own charitable nature, that would be in bad taste, but to make a point of denying it implies that more is at work. While the power inequities (wow, I think I used that phrase now in two consecutive posts!) in international development are an important topic for discussion and for the industry to be keenly aware off, I would feel that doing away with charity and charitable acts because it would be a reflection of the inequities in the world, would be a high price to pay. For both sides of that equation. Now, I suspect that many feel that charity is not just a reflection of those inequities, but that charity contributes to the inequity. Which it surely has the potential to do. I seem to recall from an anthropology course that an important sought-after effect of gift giving – a seemingly charitable act – is the power it gives the giver over the one who accepts the gift. That then would no longer be an equitable relationship. But does this miss the point that some people are in dire need of some help, even if this is in the form of a hand-out? I googled the title of this blog, and from some of the returned articles and blog posts, it does appear that people and organizations that seem charitable to me, are somewhat fearful of using the term or ashamed of it, or at the very least, consider it bad for their marketing efforts. Of course in British English “charity” stands for what in American English is often referred to as a “nonprofit” or “not for profit”, and hence in England some organizations are reconsidering their use of the word charity, reflecting their concerns about the connotations of the word. Which I take it is often about perceived operational inefficiencies, wastefull overhead expenditures and unsustainable and ineffective practices. While some of this is surely true about some charities somewhere, it seems like we are at the risk of throwing out the baby with the bathwater. 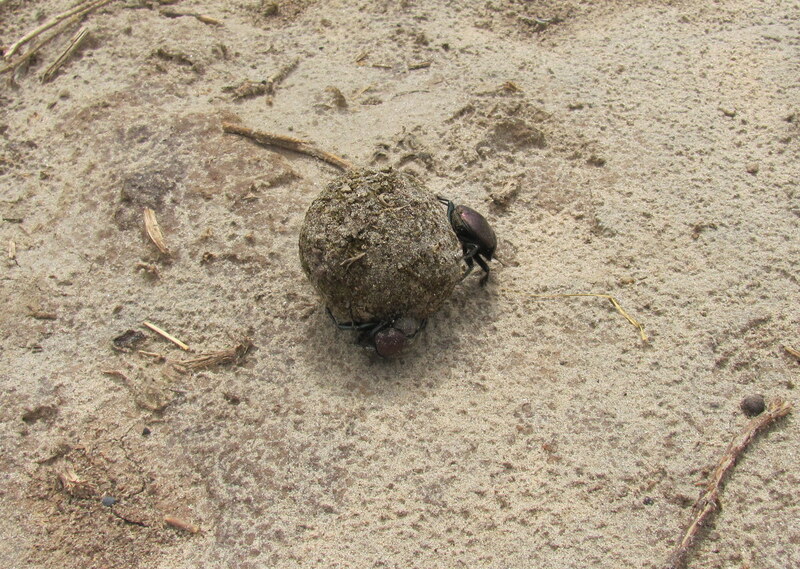 Dung beetles engaging in some uncharitable activity. I think the bad-rep the act of charity is getting these days, is partially an unintended – or at least undesirable – consequence of all the talk about sustainability (and metrics, something I’ll surely come back to one day), where charities and nonprofits have become by nature of their models beacons of unsustainability. Lest I am misread here, including sustainability as a goal for interventions and programs and solutions is good, I agree with that. However, sustainability has become such a catch-phrase and to some extent questioning its validity as the single most important goal has become developmental blasphemy. But used as a dogma, I am convinced that it would mean that only those who are considered (and yes, we’ll have to ask by whom) to have it in them to succeed, will be judged deserving of a hand-up – not out – to help them reach their potential. Because these people will be considered capable, self-motivated, “ready to own it” and self-sustain their development going forward. That would leave a whole lot of people (and animals, and eco-systems) out in the cold. Alas, I just re-read the above, and it certainly feels my thoughts are incomplete, so lets consider this an installment in a series of thoughts. 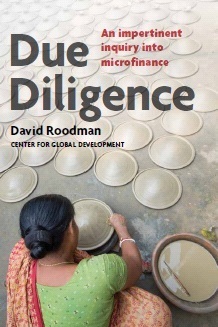 Just finished reading Roodman’s book that aims to critically assess seemingly all we know about microfinance and the myths too. The book is excellent and its writing probably overdue. Two discussions I particularly valued were first of all the review of social dynamics of group lending, and the negatives associated with this, puncturing the myth of the model’s perceived inherent democratic ways, and highlighting the consequences of veritable power inequities. Secondly, the discussion of microfinance services in terms of credit vs. saving vs. insurance confirms my belief that “the poor” would be better served with more of the latter two. Roodman reminds the reader that financial services largely allow us to do something mundane: accumulating small sums into large ones. And then have access to the large ones when you need to. He poignantly argues that providing credit is the easy way to do this, while offering functional saving and insurance services is hard, but potentially less harmful to its users. I’d agree. 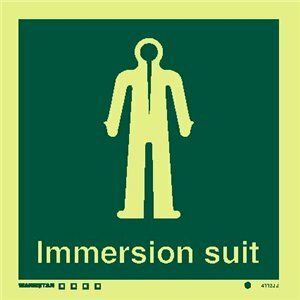 Before I get to the actual point of this post, I want to share how surprised I was when googling images for the word “immersion”. So much immersion, and one picture just dominates the internet when it comes to immersion. Google it to see for yourself. Not the point I wanted to make however. I have said to myself – and maybe just a few other people – in the past that I’d like to stay the night once in Mtakuja, just so I could see for myself what it would be like. I have also said that I would like to spend one day with the Masai boys from Remiti and follow them around as they herd their cattle and whatever else they do during the day. I have done neither! I haven’t had to make any excuses for not doing them so far, as I had not told enough people about my intentions, the lack of the public commitment has led to too little accountability. So herewith, I renew my intention for an immersion experience! I suspect I don’t need this. So why haven’t I don’t it at this point? Of course I have real questions about the value and if I will be imposing on someone. Whoever likes the guest who invites himself to stay? And yes, I felt that I was always quite immersed anyway, spent days upon days in the village, spoke at length with lots of people, I had “relaxing conversations”, sometimes even after dark, and sometimes with a warm beer in hand. But I can’t deny their is something uncomfortable about it and it is certainly easier not to do it at all! Duncan Green, the author of the blog (From Poverty to Power) observes in the comment section of his blog, that many of the other commenters seem to throw up all kinds of criticisms of immersions as no good, or an insufficient tool. He wonders why all those reservations? It is not too hard – I think – to sense his feeling that people are not being truthful with themselves. I’d agree, immersions are uncomfortable, perceived or real, and there’s gotta be a dose of simple fear here that drives the defensiveness in the comments. A stunning and very sad story in the NYTimes today about new heights (lows) of poaching of elephants. What would Africa be like without elephants? This claim struck me as kinda funny, and I would gladly be proven wrong (today or over time), but really, will solar lamps do all that? I do like the picture in the Economist (courtesy of d.Light) of the two eager students in pressed shirts craning their necks to study their books by the light of the S1 d.Light lamp. But will this one lamp improve both these boys’ educational attainment? I am afraid that there is too much of the old (new) “silver bullet, new technologies will save the day” sentiment in the idea of the solar lamp as savior. My guess would be that health and environmental benefits could be significant, but long term health risks and environmental concerns are not necessarily known as the best motivators for mass behavioral change, so some of the potential appeal of the solution might be lacking. Considering all one could do – and many around the world do – during long dark evenings and nights in their fully illuminated houses, it is easy to assume that to bring light would have a huge enabling effect, which is of course what the mobile phone has done in the lives of millions of people (rich and poor). But how many solar lamps does it take to provide an enabling effect on that kind of (mobile phone) scale? Of course it is exactly the mobile phone that is facilitating some of the innovative financing models mentioned in the article, illustrating the versatility of the phone. The phone as data transmitter is proving versatile beyond what phone companies imagined and for that reason the mobile phone was probably not hailed as a savior of the poor 10 years ago, and it is only with each new application of those handhelds that some very crafty people in places as far apart as Brooklyn and Nairobi are transforming lives and boosting economic activity. It seems a tall order for the solar lamp to match the mobile phone. Todd Moss at the CDG also talks about bringing light where it is dark, but focuses on the underlying infrastructure, the supply of energy. Of course, innovative power generation and supply solutions lend themselves much better to the analogy of the mobile phone revolution. That is what will transform lives and boost economic activity. Including bringing light, of the kind that offers lots of lumens and watts, that will allow students to study and play games (like they do on their phones). THE 34 miners killed by the police earlier this month in a wildcat strike at a Marikana platinum mine, in northern South Africa, were immediately engaged as bit players in various morality tales. Marikana reminded some of the 1960 police massacre at Sharpeville; suggested to others that poverty and division had survived apartheid; or foretold a sharp confrontation between capital and labor. To many, it either predicted or confirmed the political and moral disintegration of the ruling party, the African National Congress. Link to the article on the NYTimes. There is a debate going on in Uganda about the benefits of Free Primary Education, or, true to the age of test messaging shorthand, FPE. This may have sounded like a good idea to many, politicians, teachers, parents and students alike, but now people are questioning its wisdom. Apparently, headteachers have seen a dramatic decline in the involvement of parents in the education of their children, acting like it is now only the government’s business to assure their children are learning. 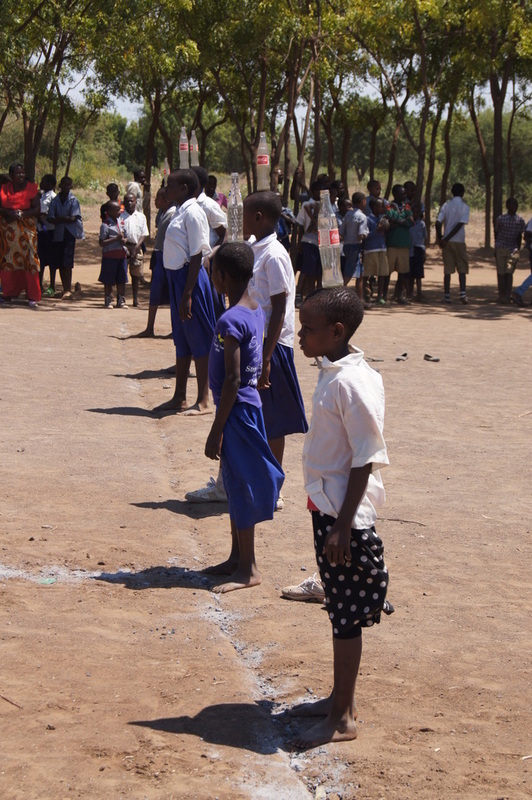 It may have been, as happened in Tanzania, that the influx of thousands of children previously not in school flooded classrooms, pushed over the edge a system that was likely already struggling to keep up. Now the quality of education is suffering, leading one reader to pose the following question on Chris Blattman’s blog: “Is everyone getting mediocre education worse than few receiving good, and most no education?” Syntax aside, I think it is a question worthwhile asking. It reminds me of a discussion I had a couple of years ago with one of the primary school headteachers here in Mtakuja. He was telling me, matter of fact, not whining or complaining, that a parent had come to berate him for his efforts to encourage his/her child to do well in the exam at the end of Standard 7, the final year in Primary School. What if their child received a good grade, and was then able if not obliged to go to secondary school? They asked him. Then they would be on the hook for four years of secondary school fees! These are real issues. As with so much when it comes to development, it hinges on questions about who should be taking responsibility, and for what and how much. And about who is deserving of what. And I sense a libertarian trend that seems to equate being responsible with the qualification of being deserving. These are questions that come up in one shape or form on a continuous basis in our work, answering them is hard, because a lot of it is relative, especially considering who deserves a hand up or out. In terms of responsibility, I believe the answer requires some thought about how much responsibility one can realistically expect from anyone person or community. While I fully agree that taking responsibility for your own actions and over your own life is generally a good thing, but if somebody doesn’t, does that make it an undeserving person? It strikes me that having the belief or trust in oneself to take responsibility is the outcome of a complex set of experiences and opportunities that shape a person, that are not evenly spread among humanity. Throw in community dynamics, power inequities, and it all becomes a lot more complicated. Carrot (and stick) approach to development? What place should fun have in a community development project? Probably quite prominent if you want it to be successful, nevertheless, I suspect most communities and development organizations do not set out to have fun. 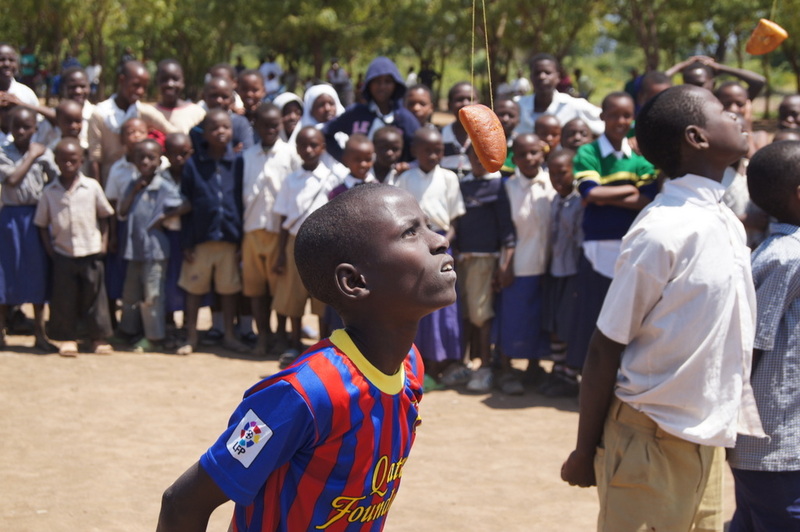 But it was clear last week when teams from the two primary schools in Mtakuja met to challenge each other at a range of sports and games how having some fun together is both a sign of harmony and a means to create it. The sillier the challenge the greater to harmony. Tanzanians have always struck me as enjoying a little schadenfreude, and it was on full display with the failures of participants, who, granted, were often set up to fail. Yes, the winners were cheered, but those who fell, stumbled, dropped what they shouldn’t drop or didn’t catch what they should have caught were cheered louder! 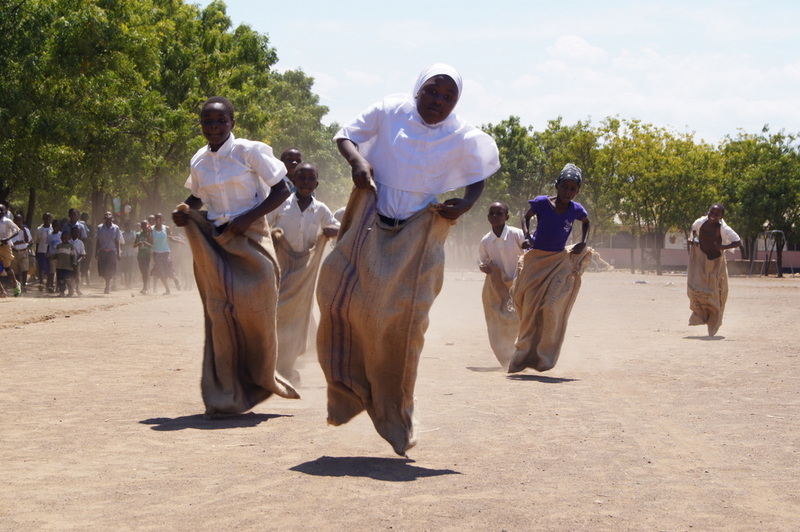 From the hundred meter dash to “mandazi biting” (a localized version of the Dutch “Koek Happen”), sack-races and a run with a bottle on one’s head, the students took their challenges serious, but relished being at the center of attention for the duration of their races. This girl was simply killing it at sack-racing! The day was largely organized by the newly formed youth group, who also performed a number of short plays and songs “with a message” in between the various sporting events. Their goal is to use performing art as a way to share messages and information about health and other issues affecting their peers. They clearly understand the value of entertainment and the need to appeal to their audience. 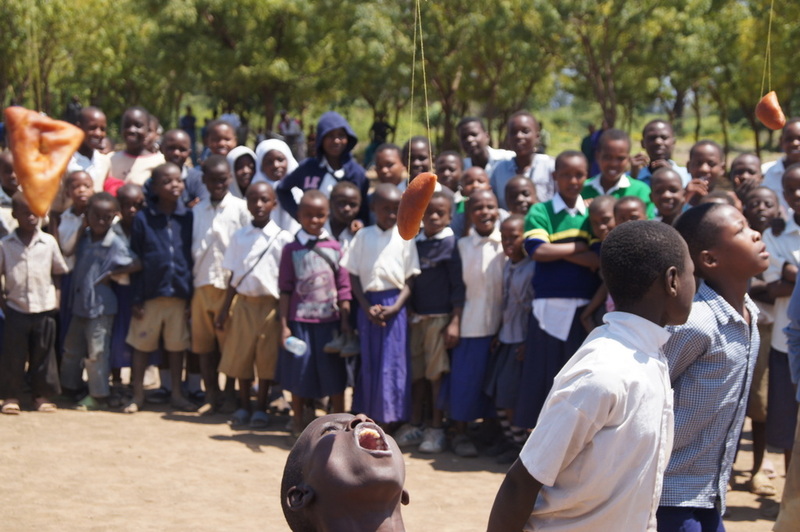 The theme was health (“afya”) and this was emphasized throughout the day, the winners of each challenge were given a prize: first prize was a tube of toothpaste and a toothbrush! The youth group performing one of its songs. Having only just returned to Mtakuja recently, after having been away for two years, it was truly quite remarkable to see and sense the community spirit, here in Mtakuja, a village that was widely know around here for being internally divided and split between north and south. I do not doubt that challenges remain, and distrust has not been dealt with completely, surely, but the sense is that the atmosphere has indeed changed in the village, there is more energy and do I dare to say it, more local initiative. This is no more obvious than at the irrigation farm where there is always activity, villagers are working the fields, planning irrigation cycles, getting ready to harvest. But it was also apparent at the Bonanza, and that was a wonderful thing to experience. The sheer intesity of this guy, deserves him a second picture!